Be productive - not busy! 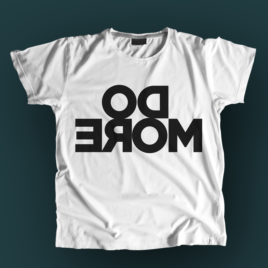 Do more - mirrored men's t-shirt. Premium black color, with our motivational quote printed in white. Inverted text on the chest will turn the right way every-time you see yourself in a mirror! This will keep you motivated to do more! 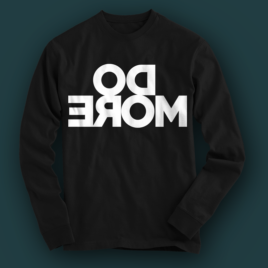 Do more – mirrored unisex sweatshirt. Premium black color, with our motivational quote printed in white. 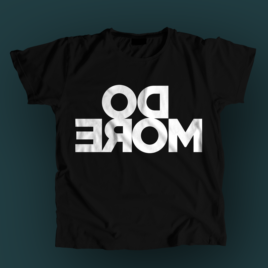 Do more - mirrored men's t-shirt. Premium white color, with our motivational quote printed in black. We are all about productivity, reaching and exceeding goals, motivation and finding a simpler way for a happy life!